Politicians worry about the dangers of Zohydro, but they have little to say about its benefits. Maryland Legislators Try to Revive Decriminalization Bill Today. An effort was underway in Annapolis Friday to revive a decriminalization bill just days after it was scuttled in committee. The effort to revive House Bill 879 is being led by members of the Legislative Black Caucus, who will try to amend the bill on the House floor. It was turned from a decriminalization bill to a study bill earlier this week in the House Criminal Justice Committee, chaired by reform foe Rep. Joe Vallario (D-Prince Georges). Louisiana Marijuana Sentencing Reform Bill Derailed. Rep. Austin Badon (D-New Orleans) has pulled his measure to soften marijuana penalties from consideration in the House Criminal Justice Committee after testimony by the head of the Louisiana Sheriffs Association. Association executive director Michael Ranatza said sheriffs fear the bill, House Bill 14, could lead to decriminalization of marijuana. Louisiana has some of the harshest marijuana laws in the country. Oregon State Police Withdraw from Anti-Marijuana Summit. The Oregon State Police have withdrawn from an anti-marijuana conference scheduled for later this month after the police superintendent learned the event is closed to the public. OSP was listed as a cosponsor of the summit, which includes sheriffs from Malheur and Yamhill counties, a Medford police official and law enforcement officials from Colorado, Washington and Arizona, as well as anti-drug reform groups such as Drug Watch International, Save Our Society from Drugs, and the Drug Free America Foundation. Ammiano Reintroduces California Medical Marijuana Regulation Bill. San Francisco Assemblyman Tom Ammiano (D) has reintroduced his medical marijuana regulation bill. The new bill is Assembly Bill 1894. The previous version, Assembly Bill 604 had been pending in the Senate. The major change is the addition of language authorizing limited local transaction and use taxes. Connecticut Picks Locations for Six Dispensaries. Locations for Connecticut's six medical marijuana dispensaries have been selected, the state Consumer Protection Commissioner said Thursday. The facilities in Branford, Bridgeport, Bristol, Hartford, South Windsor and Uncasville were authorized by the state's medical marijuana program to dispense Connecticut-produced marijuana products. Labor Department Says Texas Can't Make Drug Tests a Condition for Receiving Unemployment Benefits. The US Labor Department has ruled that Texas cannot enforce a law passed by the Legislature in 2013 which makes passing a drug test a requirement for some workers to get and keep unemployment compensation benefits. The law was watered down by the legislature to cover only people who are in professions where drug testing is a requirement, like truck driving and nursing. The feds say the law as it is written is too vague and it is unclear exactly what workers will qualify. Alabama Legislature Approves Welfare Drug Testing Bill. The legislature has approved a bill that would require welfare applicants who have a drug conviction in the last five years to undergo drug testing before receiving benefits. People could keep their benefits after one positive drug test. After a second positive, the person would be ineligible for one year. The recipient would be permanently ineligible after a third positive drug test. Senate Bill 63 now goes to the desk of Gov. Robert Bentley (R). FDA Approves Innovative New Device to Reverse Opiate Overdose. The Food and Drug Administration has approved Evzio, a handheld device containing naloxone, designed for lay people to use outside of hospital settings. When activated, the device will give verbal instructions about how to use Evzio to deliver the medication. Vermont Issues Emergency Rules to Restrict Access to Zohydro. Gov. Peter Shumlin (D) and state officials announced Thursday that Vermont is moving to restrict access to the new opiate pain reliever Zohydro, the first single-ingredient hydrocodone drug approved for patients in the US. 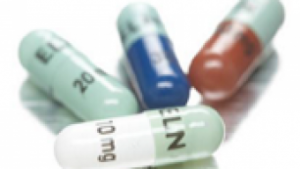 New emergency rules require that prescribers of Zohydro conduct a thorough medical evaluation and risk assessment. This is only the latest move against Zohydro, which was approved by the FDA last fall -- Massachusetts Gov. Deval Patrick (D) banned it outright earlier this week and a handful of congressmen have called for the FDA to reverse its decision. But Zohydro's maker, Zogenix, said the drug is no more potent than other hydrocodone medications. The company also says it has set up a board of experts to guard against abuse of the drug and that its sales representatives are not being paid based on the volume of sales, but rather on their efforts to ensure prescribers, pharmacists and patients are educated to understand the risks and benefits of extended-release opioids Politicians have been quick to raise the alarm about possible increases in addiction and overdose deaths with Zohydro, but they haven't been nearly as quick to talk about its usefulness in addressing the needs of legitimate pain patients. Who Wants to Kill Sentencing Reform? No Surprises Here. The Huffington Post reports that law enforcement groups including the National Sheriffs' Association, the International Association of Chiefs of Police, the National Narcotic Officers' Associations' Coalition, the National Association of Police Organizations and the Major County Sheriffs' Association are quietly trying to kill a bipartisan bill that would roll back tough mandatory sentences for people convicted of federal drug offenses under legislation passed during the height of America's drug war three decades ago. The bill is the Smarter Sentencing Act (Senate Bill 1410), which passed the Senate Judiciary Committee in January. Click the title link for the full story. New Report Shows Failure of Connecticut's Sentencing Enhancement Drug Free Zones. A new report from the Prison Policy Initiative finds that Connecticut's 1,500-foot sentencing enhancement zones are so pervasive that they blanket almost all urban areas, creating an "urban penalty" that increases the sentence imposed for a given offense simply because it was committed in a city rather than in a town. The report recommends the sentencing enhancement zones be shrunk to 100 feet. This would allow the law to actually create the specially protected places as intended. Connecticut Senate Bill 259, which just passed out of the Judiciary Committee, takes a similar approach and would decrease that size to 200 feet. The report is Reaching too far: How Connecticut's large sentencing enhancement zones miss the mark." You can read it by clicking on the title link. Marylanders Rally for Legalization. Nearly 100 supporters of sweeping changes in Maryland's marijuana laws rallied in Annapolis Thursday before planned legislative hearings on bills to legalize -- or at least decriminalize -- possession of the drug. The House Judiciary Committee is hearing a series of marijuana reform bills this afternoon, including a legalization bill (House Bill 880) from Rep. Curt Anderson (D-Baltimore). Maryland Poll Has Slim Majority for Legalization. As the legislature considers marijuana reform bills, a new Goucher Poll has support for legalization at 50.1%, with 39.4% opposed. The poll also had a whopping 89.6% in favor of medical marijuana. New Hampshire Decriminalization Bill Passes House. The House approved a decriminalization bill by a veto-proof margin Wednesday. House Bill 1625, sponsored by Rep. Adam Schroadter (R-Newmarket) and a bipartisan group of seven cosponsors including Sen. Jeff Woodburn (D-Dalton), would make possession of up to one ounce of marijuana punishable by a civil fine of up to $100. It would also make cultivation of up to six plants a Class A misdemeanor instead of a felony. Currently, possession of any amount of marijuana is a misdemeanor punishable by up to one year in prison and a fine of up to $2,000. Now, it's on to the state Senate. Kentucky Senate Approves CBD Medical Marijuana Bill. The Senate passed a bill allowing doctors to prescribe and patients to use CBD cannabis oil for medical reasons Wednesday. The bill passed with no opposition. Senate Bill 124 now goes to the House. Georgia Senate Committee Approves CBD Medical Marijuana Bill. The Senate Health and Human Services Committee unanimously approved House Bill 885, which would allow patients to use CBD-based cannabis oils. It also amended the bill to allow parents to bring the oil into the state without facing penalties. The bill has already passed the House and now awaits a Senate floor vote. South Carolina Senate Panel Approves CBD Medical Marijuana Bill. A subcommittee of the Senate Committee on Medical Affairs approved a bill allowing people suffering from epilepsy to use CBD cannabis oil Wednesday. Senate Bill 1035 still needs to pass the full committee. Similar legislation is moving in the House. Tennessee Hemp Bill Wins House Committee Vote. A bill that would allow the cultivation of hemp for research purposes passed the House Agriculture and Natural Resources Committee Wednesday. House Bill 2445 now heads for the House Finance Ways and Means Committee. Mississippi Food Stamp Drug Testing Bill Heads to Governor. A bill that would require applicants for Temporary Assistance for Needy Families (TANF) to undergo drug testing if there is a suspicion they are using drugs passed the Senate Wednesday and now goes to the desk of Gov. Phil Bryant (R), who has made it a keystone of his legislative agenda. House Bill 49 passed the Senate after debate in which supporters couched the program as an additional benefit that could help somebody struggling with addiction, while opponents said it was unfairly singling out the poor. ASAM White Paper Calls for Vastly Expanded Drug Testing. The American Society for Addiction Medicine (ASAM) has published a white paper by former NIDA director and present day drug testing consultant Robert Dupont calling drug testing "underutilized" and arguing it should be expanded to be include people of all ages in virtually all aspects of daily life. The totalitarian vision is ably critiqued by NORML drug testing expert Paul Armentano (click the title link), as well as by progressive talk radio host Thom Hartman, who countered Dupont with an op-ed entitled "It's Time to End All Drug Testing." Both Armentano's and Hartman's critiques are worth the read. 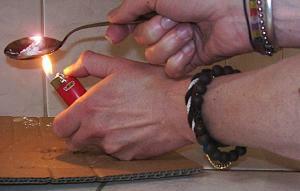 Oxycontin Maker Offers Alternative to Zohydro. Purdue Pharma, the manufacturer of Oxycontin, says it has completed testing of an abuse-resistant version of the painkiller hydrocodone, a surprise development that could derail sales of the recently launched Zohydro, a similar medication that has been criticized for lacking such safeguards. Purdue Pharma says it plans to submit its extended-release hydrocodone drug to the Food and Drug Administration later this year. Shares of rival Zogenix Inc. plunged more than 20% after the announcement, which appears to jeopardize sales of the company's just-launched drug Zohydro. Zogenix began shipping Zohydro to pharmacies last week. 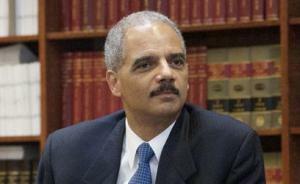 Attorney General Holder Endorses Proposal to Cut Federal Sentences. US Attorney General Eric Holder today endorsed a proposal from the US Sentencing Commission to reduce the sentences of people convicted of federal drug trafficking offenses by about a year, from an average of 62 to months to an average of 51 months. "This overreliance on incarceration is not just financially unsustainable," Holder said. "It comes with human and moral costs that are impossible to calculate." Listen to the UN Commission on Narcotic Drugs Sessions. You can do it by clicking on the UNODC's webcast page at the link above. Also, Oregon activist Doug McVay has uploaded audio of the second part of today's plenary session here. There will be more updates on McVay's weekly Drug War Facts podcast. UNODC Panel Says Criminalizing Drug Use "Not Beneficial". Today, a key working group of the United Nations Office on Drugs and Crime (UNODC) announced the release of groundbreaking recommendations discouraging criminal sanctions for drug use. The Scientific Consultation Working Group on Drug Policy, Health and Human Rights of the UNODC -- which includes Nora Volkow, head of the US National Institute on Drug Abuse (NIDA) -- is releasing the recommendations at the High-Level Segment of the 57th UN Commission on Narcotic Drugs. The working group recommendations say "criminal sanctions are not beneficial" in addressing the spectrum of drug use and misuse. UNODC Sees "Serious Setbacks" in Fight Against Drugs. Addressing the opening session of the Commission on Narcotic Drugs (CND), UN Office on Drugs and Crime (UNOC) head Yury Fedotov said the global fight against drugs had suffered "serious setbacks," including record opium crops in Afghanistan, violence linked to drug trafficking in Central America, and weak West African states succumbing to the blandishments of traffickers. While he said legalization was no solution, he did add that: "A public health response to the drug use problem should consider alternatives to penalization and incarceration of people with use disorders." Caricom Creates Commission to Study Marijuana Legalization. The leaders of the Caricom Caribbean trade bloc announced today that they are creating a commission to study the impact of legalizing marijuana. The move came at the end of a two-day summit where members discussed a preliminary report on decriminalization. The commission is charged with presenting its report in early July for a Caricom summit in Antigua. Iran Executed More Than 300 People for Drugs Last Year, Report Says. A report from the nonprofit group International Campaign for Human Rights in Iran released Wednesday says Iran executed 331 people on drug-related charges last year. The drug executions accounted for almost half of all executions in the Islamic Republic, the report found. The UN Office on Drugs and Crime sponsors anti-drug programs in Iran, and is under increasing pressure from European donor countries to put in place measures to stop its support from contributing to the death penalty. Dire Prospects for Afghanistan Drug War, Analysis Finds. A new analysis from Alex Pollard-Lipkis of Foreign Policy in Focus finds that "if costly drug war strategies in Afghanistan have been unsuccessful even with a strong US military presence, they won't stand a chance after the US withdraws." The analysis critiques contemporary US approaches and peeks into the post-US future. Click on the title link to read the whole thing. DC Legalization Initiative Cleared for Signature-Gathering. The District of Columbia Board of Elections announced this morning that it had approved a marijuana legalization initiative for signature-gathering. That means voters in the nation's capital could vote to free the weed in November. Now, the DC Cannabis Campaign must gather some 25,000 signatures to qualify for the November ballot. But first, the Board of Elections must finalize the language for the measure. It has 20 days to do so. Colorado Takes in $2 Million in Marijuana Taxes in First Month of Legalization. The state of Colorado collected $2.01 million in retail marijuana sales and excise taxes in January, the first month of legal sales, the Department of Revenue reported Monday. Missouri Legalization Bill Gets Committee Hearing. A bill to legalize marijuana in the Show-Me State got a hearing in the House Crime Prevention and Public Safety Committee Monday. House Bill 1659, sponsored by Rep. Chris Kelly (D-Columbia), got a mixed reception in the hearing, with GOP lawmakers expressing skepticism. The committee took no vote and offered no timetable for further action. Louisiana Marijuana Reform Advocates Rally on Capitol Steps in Baton Rouge. Although there is no legalization bill filed in Louisiana, legalization advocates rallied at the state capitol Monday to get their voices heard. The event was organized by Legalize Louisiana, which seeks to "decriminalize, legalize, and regulate marijuana" in the Bayou State. Although there is no legalization bill this year, there are bills to decriminalize and to allow for medical marijuana. Legalization Would Be a "Terrible Mistake," Says NYPD Commissioner. NYPD Commissioner Bill Bratton said Tuesday it would be a 'terrible mistake' to legalize marijuana and predicted problems for states that go that course. But he did say he supported medical marijuana. Dr. Sanjay Gupta Doubles Down for Medical Marijuana; Special Airs Tonight. CNN's Dr. Sanjay Gupta, who first saw the light on medical marijuana a few months ago, has reiterated his support for the herb's medicinal uses and will air a new special on the topic, Weed 2: Cannabis Madness: Dr. Sanjay Gupta Reports," at 10 p.m. ET on tonight. In New Crackdown, Los Angeles Shutters A Hundred Dispensaries. More than 100 dispensaries have shut down since Los Angeles started enforcing new rules restricting them, City Atty. Mike Feuer announced Monday. In addition to the rules prompting scores of closures, Feuer said city lawyers had successfully fended off a host of legal challenges. In one closely watched case, they prevented a dispensary from opening in Mar Vista, securing a permanent injunction before it could set up shop. Minnesota Medical Marijuana Bill Stalled By Cops. A key lawmaker said Tuesday she doesn't see a path forward for legalizing medical marijuana after talks with law enforcement hit a standstill. Rep. Carly Melin (DFL-Hibbing) said she had conceded to virtually all demands from law enforcement over the weekend but was still unable to get their support for her bill, House File 1818. Melin said she had no choice but to postpone a House committee hearing that would have been lawmakers' second look at the issue. "Law enforcement won't support any bill that would result in helping any patients," Melin said in an interview with The Associated Press. "The governor has to get involved." Georgia Food Stamp Drug Test Bill Passes Senate Committee. A bill that would require food stamp recipients suspected of drug use to pass a drug test to receive benefits narrowly passed out of the Senate Health and Human Services Committee Monday. House Bill 772, sponsored by Rep. Greg Morris (R-Vidalia) has already passed the House. It's not clear if it now goes to another committee or to a Senate floor vote. West Virginia Senator Manchin Joins Call to Overturn FDA Approval of Zohydro. US Sen. Joe Manchin (D-WV) has joined the call for the FDA to overturn its recent approval of Zohydro, a single-ingredient hydrocodone drug approved for people suffering from chronic pain. It is the first ever single-ingredient drug to be approved by the FDA. Manchion joins Sen. Charles Schumer (D-NY) and a number of legislators, prosecutors, and medical groups seeking to reverse the decision. But the FDA and the drug's manufacturer say the drug is needed to treat chronic pain. RAND Corporation Report Reviews Past Decade's Drug Use. A new report from the RAND Corporation, What America's Drug Users Spend on Illegal Drugs: 2000-2010, pegs spending on illicit drugs at $100 billion a year. It also notes that from 2000 to 2010, the amount people spent on cocaine dropped by half from $55 billion to $28 billion, reflecting dramatic decreases in the availability of cocaine after 2006: from approximately 300 pure metric tons in 2000 to about 150 pure metric tons in 2010. UN Drugs Meeting Opens after Historic Reforms Shatter Consensus on Drug Control System. The UN Commission on Narcotic Drugs (CND) opens its annual meeting this week after a year of historic reforms. This year’s meeting—which is taking place Vienna from March 13-21—is expected to be unusually contentious after a monumental 2013-2014. Unprecedented reforms have shaken the foundations of global drugs policy and set the stage for an explosive international debate. For live updates, check out the CND Blog. Report Finds UN Stuck in Denial Over Marijuana Regulation. A new report from the Transnational Institute and the Global Drug Policy Observatory has been released in the run-up to the UN Commission on Narcotic Drugs meeting this week. The report, The Rise and Decline of Cannabis Prohibition: the History of Cannabis in the UN drug control system and options for reform, unveils the long and little-known history of cannabis regulation from the late 19th century when it was widely used for medical, ceremonial and social purposes to the post-WWII period when US pressure and a potent mix of moralistic rhetoric and unreliable scientific data succeeded in categorising cannabis as a drug with 'particularly dangerous properties' on a par with heroin in the 1961 Single Convention on Narcotic Drugs. It also brings the history up-to-date with more recent developments as an increasing number of countries have shown discomfort with the treaty regime's strictures through 'soft defections', such as turning a blind eye, decriminalization, coffee shops, cannabis social clubs and generous medical marijuana schemes. These have stretched the legal flexibility of the conventions to sometimes questionable limits. The report outlines specific options for reform and assesses their potential for success. These options include: WHO review and modification of cannabis scheduling; state parties amending the treaties; modifying the conventions 'inter se', e.g. between specific states only; or denunciation of the treaty and re-accession with a reservation (carried out recently by Bolivia in order to defend indigenous rights and the use of coca leaf in its natural form). ENCOD Calls for UN to End the Drug War. The European Coalition for Just and Effective Drug Policies (ENCOD) will use the UN Commission on Narcotic Drugs this week to call on the UN to end the war on drugs. A delegation of five Encod members will join the debate inside the UN: Urki Goñi, chairman of Cannabis Social Club Urjogaberdea in the Basque Country, Spain, Doug Fine, author of 'Hemp Bound' and 'Too High To Fail: Cannabis & the New Green Economic Revolution', Dionisio Nuñez, Bolivian ex-minister of coca affairs, Janko Belin, Encod chairman and Joep Oomen, Encod coordinator. On Friday March 14 one of them will deliver a speech to the plenary meeting. ENCOD will also be reporting nightly from the sessions later this week on the ENCOD web site. Legalization Won't Solve World's Drug Problem, UN Drug Chief Says.Yuri Fedotov, head of the UN Office on Drugs and Crime, told reporters Monday that while it is up to member states to decide "what needs to be done," legalization ain't it. "As the head of UNODC, I have to say that legalization is not a solution to the (world's) drug problem," Fedotov said. "It is very hard to say that this law (adopted by Uruguay's parliament) is fully in line with legal provisions of the drug control conventions," he added. UN Drug Chief Praises Iran Drug Fight Despite Executions. Yuri Fedotov, head of the UN Office on Drugs and Crime, said Monday that Iran's anti-drug efforts were "very impressive" and that Iran "takes a very active role to fight against illicit drugs" even though human rights and harm reduction groups have criticized its frequent resort to the death penalty for drug offenders. Still, he added that UNODC opposes the death penalty and that he planned to raise the issue with Iranian leaders during the UN Commission on Narcotic Drugs meeting in Vienna this week. US Attorney General Eric Holder had heroin on his mind Monday, using his weekly video message and an accompanying press release to draw attention to rising heroin overdose deaths and vowing to combat the problem with a combination of law enforcement, treatment, prevention, and harm reduction measures. Drug reformers generally responded positively, but called on the Obama administration to seek comprehensive, science- and health-based solutions instead of engaging in more drug war. "Addiction to heroin and other opiates -- including certain prescription pain-killers -- is impacting the lives of Americans in every state, in every region, and from every background and walk of life -- and all too often, with deadly results. Between 2006 and 2010, heroin overdose deaths increased by 45%," Holder said. "Scientific studies, federal, state and local investigations, addiction treatment providers, and victims reveal that the cycle of heroin abuse commonly begins with prescription opiate abuse. The transition to -- and increase in -- heroin abuse is a sad but not unpredictable symptom of the significant increase in prescription drug abuse we've seen over the past decade." What Holder didn't mention is that the rise in prescription pain pill misuse is tied to a massive increase in prescribing opioids for pain in the past decade. A study published last fall found that between 2000 and 2010, the amount of opioids prescribed for non-cancer pain had nearly doubled, and that during the same period, the percentage of people complaining of pain who received prescriptions for opioids jumped from 11% to nearly 20%. But reining in prescriptions generally isn't the answer either. But at the same time, a 2011 Institute of Medicine report found that while "opioid prescriptions for chronic non-cancer pain [in the US] have increased sharply… 29% of primary care physicians and 16% of pain specialists report they prescribe opioids less often than they think appropriate because of concerns about regulatory repercussions." As the IOM report noted, having more opioid prescriptions doesn't necessarily mean that "patients who really need opioids [are] able to get them." Opioid misuse and under-use of opioids for pain treatment when they are needed are problems that coexist in society. Pain pill crackdowns have also been found to result in increased use of street heroin, as a Washington Post article last week reports -- two additional reasons advocates prefer public health approaches to heroin more than law enforcement -- and why great care should be taken with the law enforcement measures. "It's clear that opiate addiction is an urgent -- and growing -- public health crisis. And that's why Justice Department officials, including the DEA, and other key federal, state, and local leaders, are fighting back aggressively," Holder continued. "Confronting this crisis will require a combination of enforcement and treatment. The Justice Department is committed to both." Holder pointed to DEA efforts to prevent diversion of pharmaceutical pain-relievers to non-medical users, mentioning investigations of doctors, pharmacists, and distributors. "With DEA as our lead agency, we have adopted a strategy to attack all levels of the supply chain to prevent pharmaceutical controlled substances from getting into the hands of non-medical users," Holder said. Holder also pointed out that DEA had opened some 4,500 heroin investigations since 2011 and promising more to come. But, as Holder noted, "enforcement alone won't solve the problem," so the administration is working with civil society and law enforcement "to increase our support for education, prevention, and treatment." And although he didn't use the words "harm reduction," Holder is also calling for some harm reduction measures. He urged law enforcement and medical first responders to carry the overdose reversal drug naloxone (Narcan) and signaled support for "911 Good Samaritan" laws, which grant immunity from criminal prosecution to those seeking medical help for someone experiencing an overdose. Holder got restrained plaudits from drug reformers for his small steps toward harm reduction measures, but they called for a more comprehensive approach. "Preventing fatal overdose requires a comprehensive solution," said Meghan Ralston, harm reduction manager for the Drug Policy Alliance. "While naloxone is an absolutely critical component, we need a scientific, health-based approach to truly address the roots of the problem. This includes improving access to effective, non-coercive drug treatment for everyone who wants it, as well as improving access to medication-assisted treatments such as methadone and buprenorphine." Ralston also added that just making naloxone available to cops and EMTs wasn't good enough. Friends and family members, not "first responders," are most often the people who encounter others in the throes of life-threatening overdoses. "While we applaud Attorney General Holder's clear support for expanding access to naloxone, particularly among law enforcement and 'first responders,' we urge him to clarify that he supports naloxone access for anyone who may be the first person to discover an opiate overdose in progress," she said. But Law Enforcement Against Prohibition (LEAP), a group of law enforcement officials opposed to the war on drugs, applauded the move, which could help soften reflexive law enforcement opposition to carrying the overdose antidote, an attitude reflected in the the International Association of Chiefs of Police's opposition to all harm reduction measures. "Police may not be the first to embrace change, but we are slowly evolving," said Lieutenant Commander Diane Goldstein (Ret.). "We cannot arrest our way out of a public health problem, and it's clear that the Attorney General is beginning to understand that and to embrace the role of harm reduction in reducing death, disease and addiction in our communities. We still have a long way to go, but this is a good sign." The idea is "a no-brainer," according to executive director Major Neill Franklin (Ret.). "It is simply immoral not to support something proven to save lives for political reasons," Franklin added. "Yes, police send a message when they choose not to carry naloxone. But that message is not 'don't do drugs,' it's 'if you make the wrong decisions in your life, we don't care about you.' That offends me both as a former cop and as a human being." The nuanced pushback to Holder's law enforcement/prevention/treatment/hint of harm reduction approach is good as far as it goes, but it doesn't go far enough. Decriminalizing and destigmatizing now illicit drug use, as has been the case in Portugal, is an obvious next step, and removing the question of drugs from the purview of the criminal justice system altogether would be even better. Still, that a sitting attorney general is calling for treatment and harm reduction as well as law enforcement is a good thing, and for reformers to be calling him on not going far enough is a good thing, too. The global drug prohibition bureaucracy's watchdog group, the International Drug Control Board (INCB) released its Annual Report 2013 today, voicing its concerns with and wagging its finger at drug reform efforts that deviate from its interpretation of the international drug control treaties that birthed it. The INCB is "concerned" about moves toward marijuana legalization and warns about "the importance of universal implementation of international drug control treaties by all states." "We deeply regret the developments at the state level in Colorado and Washington, in the United States, regarding the legalization of the recreational use of cannabis," INCB head Raymond Yans said in introducing the report. "INCB reiterates that these developments contravene the provisions of the drug control conventions, which limit the use of cannabis to medical and scientific use only. INCB urges the Government of the United States to ensure that the treaties are fully implemented on the entirety of its territory." For some years now, some European and Latin American countries have been expressing a desire to see change in the international system, and "soft defections," such as the Dutch cannabis coffee shop system and Spain's cannabis cultivation clubs, have stretched the prohibitionist treaties to their legal limits. But legal marijuana in Uruguay is a clear breach of the treaties, as Colorado and Washington may be. That is bringing matters to an unavoidable head. But the INCB is clearly perturbed by the erosion of the international drug prohibition consensus, and especially by its concrete manifestations in legalization in Uruguay, Colorado, and Washington and the spreading acceptance of medical marijuana. "The Board is concerned that a number of States that are parties to the 1961 Convention are considering legislative proposals intended to regulate the use of cannabis for purposes other than medical and scientific ones" and "urges all Governments and the international community to carefully consider the negative impact of such developments. In the Board's opinion, the likely increase in the abuse of cannabis will lead to increased public health costs," the report said. Similarly, the INCB "noted with concern" Uruguay's marijuana legalization law, which "would not be in conformity with the international drug control treaties, particularly the 1961 Convention" and urged the government there "to ensure the country remains fully compliant with international law, which limits the use of narcotic drugs, including cannabis, exclusively to medical and scientific purposes." Ditto for Colorado and Washington, where the board was "concerned" about the marijuana legalization initiatives and underlined that "such legislation is not in conformity with the international drug control treaties." The US government should "continue to ensure the full implementation of the international drug control treaties on its entire territory," INCB chided. But even as INCB struggles to maintain the legal backbone of global prohibition, it is not only seeing marijuana prohibition crumble in Uruguay and the two American states, it is also itself coming under increasing attack as a symbol of a crumbling ancien regime that creates more harm than good with its adherence to prohibitionist, law enforcement-oriented approaches to the use and commerce in psychoactive substances. "We are at a tipping point now as increasing numbers of nations realize that cannabis prohibition has failed to reduce its use, filled prisons with young people, increased violence and fueled the rise of organized crime," said Martin Jelsma of the Transnational Institute. "As nations like Uruguay pioneer new approaches, we need the UN to open up an honest dialogue on the strengths and weaknesses of the treaty system rather than close their eyes and indulge in blame games." "For many years, countries have stretched the UN drug control conventions to their legal limits, particularly around the use of cannabis," agreed Dave Bewley-Taylor of the Global Drug Policy Observatory. "Now that the cracks have reached the point of treaty breach, we need a serious discussion about how to reform international drug conventions to better protect people's health, safety and human rights. Reform won't be easy, but the question facing the international community today is no longer whether there is a need to reassess and modernize the UN drug control system, but rather when and how." "This is very much the same old stuff," said John Collins, coordinator of the London School of Economics IDEAS International Drug Policy Project and a PhD candidate studying mid-20th Century international drug control policy. "The INCB views its role as advocating a strict prohibitionist oriented set of policies at the international level and interpreting the international treaties as mandating this one-size-fits-all approach. It highlights that INCB, which was created as a technical body to monitor international flows of narcotics and report back to the UN Commission on Narcotic Drugs, has carved out and maintains a highly politicized role, far removed from its original treaty functions. This should be a cause for concern for all states interested in having a functioning, public health oriented and cooperative international framework for coordinating the global response to drug issues," Collins told the Chronicle. "The INCB and its current president, Raymond Yans, take a very ideological view of this issue," Collins continued. "Yans attributes all the negative and unintended consequences of bad drug policies solely to drugs and suggests the way to lessen these problems is more of the same. Many of the policies the board advocates fly in the face of best-practice public health policy -- for example the board demanding that states close 'drug consumption rooms, facilities where addicts can abuse drugs,'" he noted. "If the board was really concerned about the 'health and welfare' of global populations it would be advocating for these scientifically proven public health interventions. Instead it chooses the road of unscientific and ideological based policies," Collins argued. The INCB's reliance on ideology-driven policy sometimes leads to grotesque results. There are more than 30 countries that apply the death penalty for drugs in violation of international law. Virtually every international human rights and drug control body opposes the death penalty for drugs including the United Nations Office on Drugs and Crime, the UN Human Rights Committee, the UN's human rights experts on extrajudicial killings, torture and health, among many others. But when an INCB board member was asked in Thailand -- where 14 people have been executed for drugs since 2001 -- what its position on capital punishment was, he said, "the agency says it neither supports nor opposes the death penalty for drug-related offenses," according to the Bangkok Post. Human rights experts were horrified and immediately wrote asking for clarification, to which the INCB responded, "The determination of sanctions applicable to drug-related offenses remains the exclusive prerogative of each State and therefore lie beyond the mandate and powers which have been conferred upon the Board by the international community," according to Human Rights Watch. Another area where the board's concern about the health and welfare of global populations is being challenged is access to pain medications. A key part of the INCB's portfolio is regulating opioid pain medications, and this year again it said there is more than enough opium available to satisfy current demand, although it also noted that "consumption of narcotic drugs for pain relief is concentrated within a limited number of countries." Adding to the paradox -- the global supply is sufficient, but four-fifths of the world doesn't have access -- the INCB calls on governments to "ensure that internationally controlled substances used for pain relief are accessible to people who need them." "The INCB uses totals of requirements for opioid medicines compiled by the UN treaty signatory states," said Ann Fordham, executive director of the International Drug Policy Consortium, which keeps an eye on the agency with its INCB Watch. "Unfortunately there is often a huge gap between these administrative estimates and the actual medical needs of their populations." The prohibitionist slant of global drug control also creates a climate conducive to understating the actual need for access to pain relief in other ways, Fordham told the Chronicle. "Many governments interpret the international drug control conventions in a more restrictive manner than is necessary, and focus their efforts towards preventing access to the unauthorized use of opioids rather than to ensuring their medical and scientific availability," she said. "This is a grossly unbalanced reading of the conventions, underpinned by fear and prejudice regarding opioids and addiction." Although the agency has cooperated somewhat with the WHO in attempting to enhance access to the medicines, said Fordham, it bears some blame for rendering the issue so fraught. "The INCB has continually stressed the repressive aspect of the international drug control regime in its annual reports and other public statements, and in its direct dealings with member states," she said. "The INCB is therefore responsible for at least some of the very anxieties that drive governments toward overly restrictive approaches. 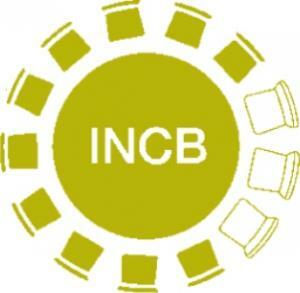 This ambivalence considerably weakens the INCB's credibility and contradicts its health-related advocacy." Fordham joined the call for a fundamental reform of global drug prohibition, and she didn't mince words about the INCB. "The entire UN drug control system needs to be rebalanced further in the direction of health rather than criminalization, and it is changing; the shift in various parts of the system is apparent already," she said before leveling a blast at Yans and company. "But the INCB is notable as the most hard line, backward-looking element, regularly overstepping its mandate in the strident and hectoring manner its adopts with parties to the treaties, in its interference in functions that properly belong to the WHO and in its quasi-religious approach to a narrow interpretation of the drug control treaties." The INCB should get out of the way on marijuana and concentrate on its pain relief function, said Collins. "The INCB should stay out if it," he said bluntly. "It is a technocratic monitoring body. It should not be involving itself in national politics and national regulatory systems. So it doesn't need to be either a help or hindrance on issues regarding cannabis reform. It has no reason to be involved in this debate. It should be focusing on ensuring access to essential pain medicines. These debates are a distraction from that core function and I would argue one of the reasons it is failing to meet this core function." Sorry, INCB. Welcome to the 21st Century. "Big Plans, Little Brains." Canada's criminally cretinous Trailer Park Boys fight marijuana legalization in their latest flick. DC's Top Lawyer Says Proposed Legalization Ordinance Can't Go to Voters. District of Columbia Attorney General Irvin Nathan issued a formal opinion yesterday saying the proposed DC marijuana legalization initiative should not go before the voters because it violates federal law. His opinion is not binding, but carries weight with the Board of Elections, which meets on the issue next Tuesday. Initiative backers are scrambling to see if they can't fix the language in question before then. New Mexico House Approves Study of Legalization Effects. The state House late Wednesday passed a nonbinding memorial (bill) that calls for studying the effects of marijuana legalization in Colorado and Washington. Under the measure, the Legislative Finance Committee would conduct the study and report its findings later this year. The committee will be looking specifically at state revenue and agricultural production levels as well as addiction rates and the availability of law enforcement resources. The bill is House Memorial 38. Epilepsy Foundation Calls for Access to Medical Marijuana, Tells DEA to Back Off. "The Epilepsy Foundation supports the rights of patients and families living with seizures and epilepsy to access physician directed care, including medical marijuana. Nothing should stand in the way of patients gaining access to potentially life-saving treatment," said Epilepsy Foundation President and CEO Philip M. Gattone and Epilepsy Foundation Board of Directors Chairman Warren Lammert. "If a patient and their healthcare professionals feel that the potential benefits of medical marijuana for uncontrolled epilepsy outweigh the risks, then families need to have that legal option now -- not in five years or ten years. For people living with severe uncontrolled epilepsy, time is not on their side." The foundation said it was moved to act after getting repeated inquiries about the use of medical marijuana, especially high CBD cannabis oils. It also urged the DEA to get out of the way. Click on the link to read the press release. New Jersey Patients Air Grievances Before Assembly Committee. Medical marijuana patients and advocates got a chance to lay out their problems with the state's medical marijuana program Thursday at a hearing of the Assembly Regulatory Oversight Committee. Click on the link to get all the details. Maryland Medical Marijuana Program Still 18 Months Away, Official Says. Dr. Paul Davies, head of the commission set up to oversee the implementation of a medical marijuana program told lawmakers Thursday that the initiative is at least 18 months away from offering pain relief to the first patients. And that's the best-case scenario. 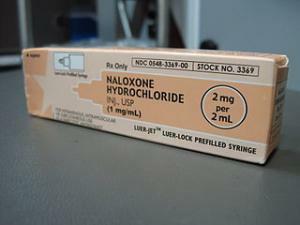 Naloxone (Opioid Overdose Reversal Drug) Bills Move in Ohio, Wisconsin. Bills that would expand access to the opioid overdose reversal drug naloxone (Narcan) are moving in Ohio and Wisconsin. The Christian Science Monitor mentions these bills in a broader article on states moving to respond opioid overdoses. Click on the link to read the whole thing. India's Rajya Sabha Passes Bill to Increase Access to Opiate Pain Medications. India's parliament has passed a bill that will ease access to opiate pain medications. The Narcotic Drugs and Psychotropic Substances (Amendment) Bill, 2014, was passed by the Rajya Sabha, or upper house Friday. It had passed the Lok Sabha, or lower house, the day before. The law will bring relief to thousands of cancer patients in the country who use opiates for acute and chronic pain relief. 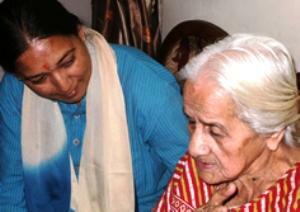 It had been pushed by the Indian Association for Palliative Care, among other groups. Canadian Pro-Legalization Group Seeks Candidates to Support in Next Year's Elections. A new organization, Legalize Canada, has popped-up with the intent of "supporting strong and vocal pro-legalization candidates for public office" in the 2015 federal election. The group said it had identified 95 to 100 ridings (legislative districts) out of 338 in the country where support for legalization could be a critical, election-winning issue. The group says it is aiming for a $7 million budget. 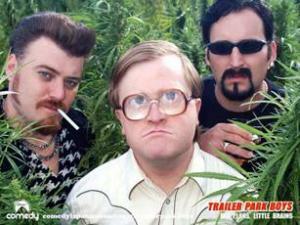 Canada's Trailer Park Boys Say Don't Legalize It. Canada's cult TV and movie phenomenon, Trailer Park Boys, is back with a new sequel, Trailer Park Boys 3: Don't Legalize It. Ricky, Julian, Bubbles, and the rest of the crew have too much invested in their latest criminal pot growing scheme to put up with legal weed. Seven Killed in Philippines Drug Raid. Philippines anti-drug police killed seven suspected drug dealers and arrested several more in a Friday raid on the outskirts of Davao City. "They put up a fight and were killed in the process," Mayor Rodrigo Duterte said here when asked about the deaths. Duterte has long been suspected of being behind extrajudicial killings in Davao City, an accusation the Aquino administration ally has repeatedly denied. Alaska Legalization Initiative Qualifies for Ballot. 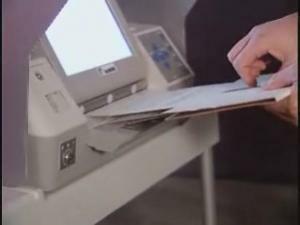 State election officials said Tuesday that a marijuana legalization initiative has enough signatures to qualify for the August ballot. The measure isn't officially certified yet, but it's all but a done deal. DC Council Gives Preliminary Approval to Decriminalization. The District of Columbia city council Tuesday approved a marijuana decriminalization bill, Council Bill 20-409, but only after first accepting amendments that would criminalize the public use of marijuana and allow police to search vehicles if they encounter the odor of marijuana. A second and final vote will most probably happen next month, and efforts are underway to strip out the bad amendments. Meanwhile, a legalization bill and a legalization initiative are pending. Deputy Drug Czar Forced to Admit Marijuana Safer Than Alcohol. Deputy ONDCP head Michael Botticelli had a rough hearing Tuesday at the House Government Oversight Committee. Rep. Gerry Connolly (D-VA) got him to admit that marijuana is safer than alcohol, but it was a painful process. Click on the link for the dialog. Delaware Finalizes Regulations for a Single Medical Marijuana Compassion Center. The Marijuana Policy Project complains that its limit of 150 plants will be too few to meet patients' needs, but says its efforts to get the cap lifted have been blocked. Maybe the regs can be changed later, the group said. Project CBD Responds to Attacks from Project SAM. Project CBD's Martin Lee has penned a lengthy rebuttal of a recent Project SAM (Smart Approaches to Marijuana) "fact sheet" that seeks to justify continued marijuana prohibition "by misinforming the public about cannabidiol and THC." Check it out at the title link. Farm Bill With Hemp Amendment Passes Congress. The Senate Tuesday passed the omnibus farm bill with the hemp amendment intact. The amendment will allow universities and agriculture departments that have approved hemp production to undertake research. The president is expected to sign the bill any day now. Farm Bill Passes Congress Without Drug Testing Amendment. The same Farm Bill package that passed the Senate did not include language passed in a version of the bill last summer that would have encouraged states to drug test recipients of Supplemental Nutritional Assistance, also known as food stamps. South Dakota Public Benefits Drug Testing Bill Dies. A bill that would have required drug screening and testing for public benefits recipients died Tuesday in the Senate Health and Human Services Committee on a 5-2 vote. The bill had been fiercely opposed by the administration of Republican Gov. Dennis Daugard. Silk Road Mastermind Indicted By Feds. Ross Ulbricht, the suspected mastermind behind the dark web's Silk Road web site, has been indicted by federal prosecutors for allegedly trafficking drugs through the site. The indictment supersedes the original complaint from October 2013. Meanwhile, another version of Silk Road is back online, and so are competitors. Florida Prescription Drug Database Overhaul With Privacy Protections Passes Senate Committee. A bill that amends the state's Prescription Drug Monitoring Program to require investigators to get court orders to access the database passed the Senate Health Policy Committee Tuesday. The move came over the objection of law enforcement, which said it would hamper its ability to curb the abuse of controlled substances. The bill is Senate Bill 7106. South Dakota Bill to Reduce Collateral Student Drug Punishments Advances. The Senate Education Committee Tuesday approved a bill that would reduce the collateral penalties for high school students convicted of drug offenses. Under current state law, students convicted of drug offenses are suspended from school activities for a year, but can get that reduced to 60 days if they attend treatment or counseling. The bill approved by the committee would reduce that to 30 days if the student undergoes treatment. Indian Doctors, Advocates Call for Parliament to Quit Dithering, Pass Opioid Medication Law. Indian doctors and pain patient advocates are calling on parliament to pass an amendment to the Narcotic Drugs and Psychotropic Substances Bill that would increase the availability of opioid pain medications. They say millions of Indians are suffering from untreated pain because of lack of access to such substances. Among the groups calling for action on the bill are Pallium India, the Indian Association of Palliative Care, and CanSupport, which provides home care and palliative care for patients with cancer. Massachusetts High Court Rules against Prosecutors in Small-Time Marijuana Cases. Possession of up to an ounce of pot is decriminalized in Massachusetts, even if that less-than-an-ounce amount is divided up in separate baggies. The state Supreme Judicial Court ruled last month that possessing small amounts of marijuana in separate baggies is not sufficient evidence to charge someone with possession with intent to distribute. Prosecutors are grumbling. Utah "Good Samaritan" Drug Overdose Bill Moving. A bill that would provide limited criminal immunity for people who report a drug overdose has passed the Criminal Justice Committee and will be taken up by the full legislature when it reconvenes next month. The bill is sponsored by Rep. Carol Spackman Moss (D-Holladay) and has the backing of harm reductionists and the Utah Statewide Association of Prosecutors alike. There were more than 500 drug overdose deaths in Utah last year. COPS Program Worried About Police Militarization. Cop-watcher Radley Balko notes that the monthly newsletter of the Justice Department's Community Oriented Police Services (COPS) program is raising the alarm about the militarization of policing in the US. Balko cites a warning from COPS program senior policy analyst Karl Bickel: "Police chiefs and sheriffs may want to ask themselves -- if after hiring officers in the spirit of adventure, who have been exposed to action oriented police dramas since their youth, and sending them to an academy patterned after a military boot camp, then dressing them in black battle dress uniforms and turning them loose in a subculture steeped in an 'us versus them' outlook toward those they serve and protect, while prosecuting the war on crime, war on drugs, and now a war on terrorism -- is there any realistic hope of institutionalizing community policing as an operational philosophy?" West Virginia Man Faces First Degree Murder Charge in Wife's Drug Overdose Death. Prosecutors have charged a Roane County man with first degree murder in the accidental drug overdose of his wife. Todd Honaker thought he was buying LSD, but instead gave his wife the synthetic drug 25b-NBOMe ("N-bomb"). The man who supplied the drug has been charged with delivery of a controlled substance. It's not clear why Honaker is facing such severe charges. Less Than 4% of Indians Suffering From Chronic Cancer Pain Have Access to Morphine. Legal restrictions on access to opioid pain medications leave millions of Indians suffering from severe and chronic pain without access to relief, leading to an "epidemic of pain in India." Ironically, India produces 99% of the global supply of licit opium, most of which it exports. Indian Authorities Warn of Rising Opium Cultivation in Northeast. Illicit opium production is on the rise in states such as Manipur and Nagaland, Indian drug experts said at a Saturday conference in Guwahati. Cultivation was increasing both as a cash crop and for personal consumption, the experts said. In some villages, between 60% and 90% of families were growing opium, they said.